Robust and stylish wooden bar stools with a faux leather seat in a choice of 12 colours and a solid beech frame in 8 further finishes. Available for delivery in 15-20 days from order. Stylish wooden bar stall designed especially for use in restaurants and cafes. 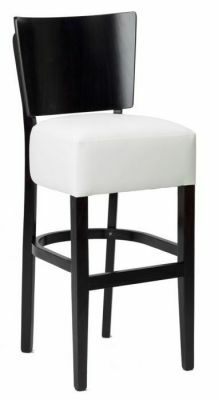 Includes a solid wood structure and comfortable padded seat available in a wide range of fabrics.